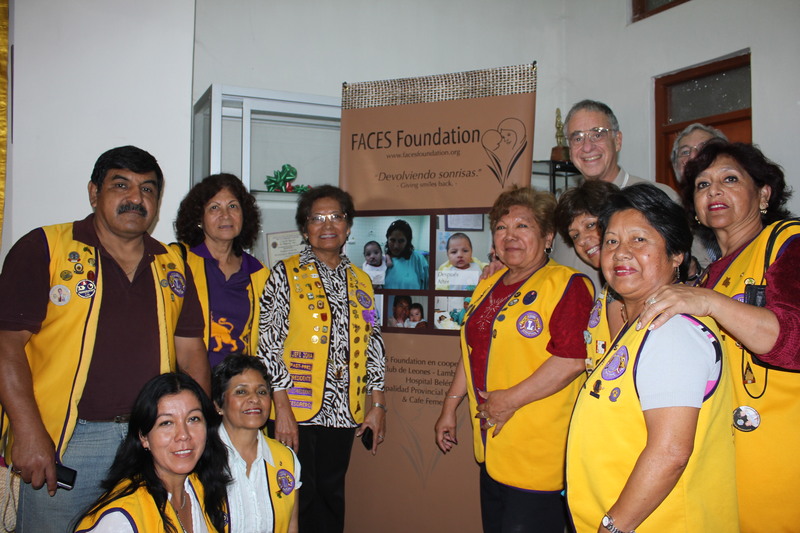 The Lambayeque Lions Club at the Nov/Dec 2011 Screening Clinic. In preparation for the January 2012 surgical trip to northern Peru, three members of the FACES team headed to Lambayeque, Peru, to conduct screening clinics around the region. Dr. Thomas Albert, FACES Founder and President, and Dr. Jerome List screened over 50 patients are three clinics in Lambayeque, Olmos and San Antonio. Of the 50+ children and adults screened during these clinics, 35 patients were identified as surgical candidates for the January 2012. On Janaury 22nd, 2012, a 22-person FACES team will be traveling back to Lambayeque to perform surgeries and evaluate new patients for the Speech Therapy program. Connectivity, both technological and face-to-face, is at the core of the FACES model. During the November/December 2011 clinics, Dr. Albert and Dr. List conducted the screenings utilizing 3G in the area around Lambayeque for data entry and for connecting with patients. Within hours of touching down in-country, the team headed straight to the Lambayeque Lions Club office where the first round ofscreenings were conducted. Once again, the FACES partnership with the Lions Club proved invaluable – the Lions Club helped make the screenings move seemlessly. The Lions Club members took down patient information, took care of visiting children and families who had traveled long distances for the clinic, fed patients during their time at the clinic and were ready to provide any sort of general support at the drop of a hat. For example, one young patient needed some specific antibiotic medicine from the pharmacy. So, Cecilia, the Lambayeque Lions Club President, went straight to the local hospital, purchased the needed medicine, and was quickly back at the clinic, antibiotics in hand. While the main screening activities took place in Lambayeque, Dr. Albert and Dr. 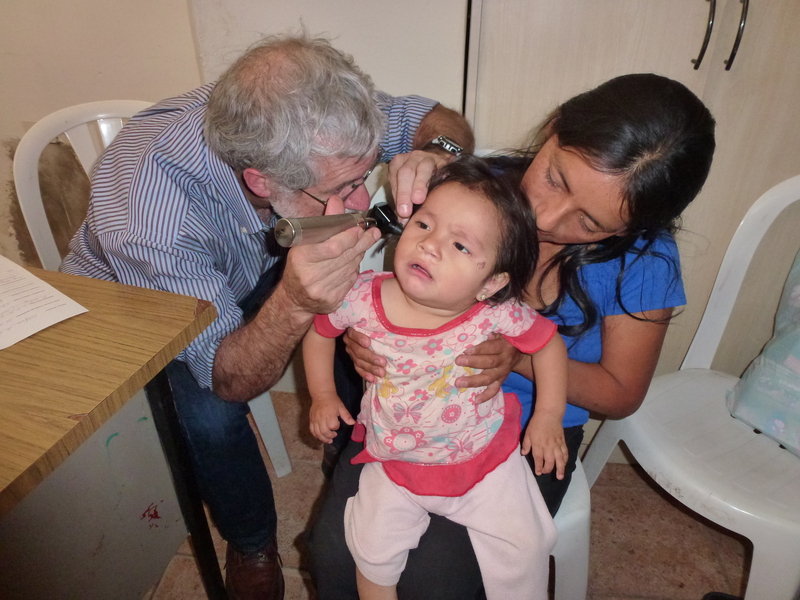 List also saw patients in Olmos (the lime capital of Peru) and San Antonio, a remote village in the Amazonas Region. The FACES team traveled to San Antonio with representatives of Cafe Femenino (fair trade coffee women’s coffee importer) to check out the recently finished clean water project that the two groups helped make a reality for the village. Dr. Albert was informed that there were several cleft lip and palate patients (and some with other problems) in the area that needed the evaluation of a doctor, so he conducted a screening clinic at the San Antonio medical post. He was able to screen an additional five patients in San Antonio, several of whom will receive surgeries in January. 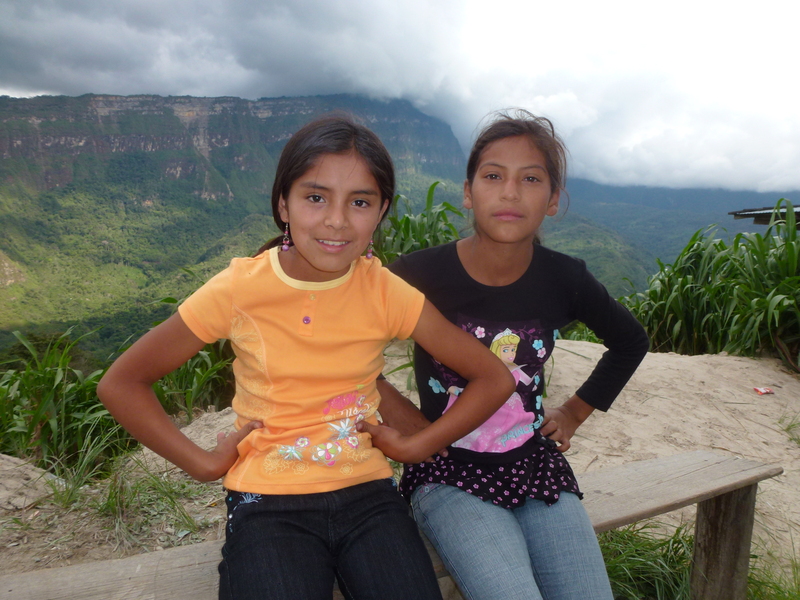 Due to their medically isolated, remote location, FACES will rely on our strong local network of people who will help these patients and their families work out travel plans from San Antonio to Lambayeque and back. This is not an easy trip – it took the FACES/Cafe Femenino team several days to reach San Antonio by car. FACES is excited to be expanding the use of our connectivity to more patients in isolated areas that are starting to get internet connections. San Antonio is a great example of this – despite the fact that the village is incredibly remote, nestled on the side of a sloping Andean mountain, we can use our connectivity model to stay connected and track the patients here. This is an essential component in providing comprehensive cleft care, with follow-up after surgery. San Antonio is remote, but the residents do have access to an Internet site. We are looking forward to implementing the FACES Connectivity Model in San Antonio, so it can benefit the village residents who are exactly the target population we aim to help – indigent and medically isoalted.